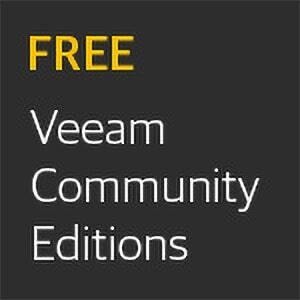 functionalities equal to Veeam Backup & Replication Standard edition! our most epic party yet! 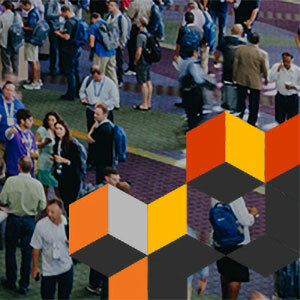 offered by the top technology suppliers for IT products and services. and selling courses to help you become better equipped to sell our solutions. 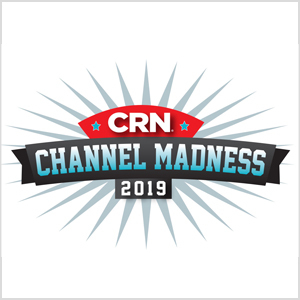 CRN Channel Madness Tournament is back – vote for Kevin! of Americas Partner Sales, to move him to the next round! BAAR, Switzerland–(BUSINESS WIRE)–Veeam® Software, the leader in Backup solutions that enable Intelligent Data Management™, today announced the winners of the 2018 Veeam Impact Partner Awards™ for North America. These fourth annual awards recognize nine North American Veeam ProPartners and Veeam Cloud & Service Provider (VCSP) partners who have not only demonstrated success providing Veeam Availability solutions to their customers, but who have also surpassed expectations in providing first-class support, expert knowledge, and continued product education. The VCSP segment in North America grew 43 percent YoY, equipping more than 3,800 providers with the means to build a build a Cloud Backup, Backup as a Service (BaaS) and Disaster Recovery as a Service (DRaaS) offering. 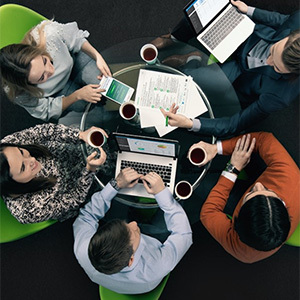 As businesses of all sizes are rapidly evolving and adapting to the demands of digital transformation and a cloud-era, Veeam is responding to ensure partners have the most innovative product offerings, latest tools, first-class support, and the most valuable training and education to ensure their profitability and mutual success. Registration is now open for VeeamON 2019, the world’s premier event for Intelligent Data Management, taking place May 20 – 22, 2019, in Miami, FL. Nearly 10,000 customers, partners and influencers attended VeeamON 2018 in Chicago, IL and the regional VeeamON Forum events held all around the world. in-person and online events throughout the year. well as reduce the complexity in their environment. SAP HANA applications and databases. Veeam is converting their subscription licenses to an instance licensing scheme. This does not affect perpetual licensing, but for the first time, Veeam will now allow customers to have both Perpetual and Instance Subscription licensing in the same centrally managed environment. Veeam lists several products and workloads that the new instance licensing definitely applies to. For products, Veeam specifies Veeam Availability Suite, Veeam Backup and Replication, Veeam Backup Essentials, Veeam Agents for Microsoft Windows and Linux, and Veeam Availability for AWS while leaving open the possibility of it being used with other products too. Notably, Veeam is planning to move the following product to instance licensing sometime this year: Veeam Management Pack, Veeam Backup for Microsoft Office 365, Availability, Veeam Agents for IBM AIX and Oracle Solaris. 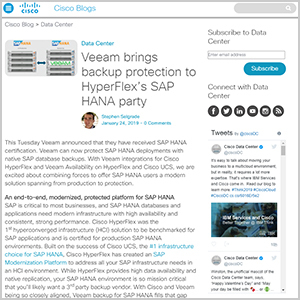 However, instance licensing is only available if those products are running on Virtual Machines – VMware, Hyper-V & Nutanix AHV, Cloud Workloads – AWS EC2 and more, Physical Servers & Workstations – Microsoft Windows and Linux, or Enterprise Applications – Veeam Plug-in for Oracle RMAN & SAP HANA. Customers with existing subscription licenses will be converted to instance licensing when upgrading to update 4 or renewing their contract. New customers must buy bundles of 10 licenses at a time (or 5 at a time for Backup Essentials). Veeam has a calculator to help determine how many licenses you need. Most Workloads with Enterprise Plus Edition require one license, which would be simple. However, both Enterprise and Standard require additional instances for some environments. For example, Standard Edition requires thirty licenses for ten server environments which works out to 3 licenses per server with that edition. What benefits does this change bring to customers? It allows them to move workloads between environments without needing to buy additional licenses. Now, customers will be able to move a workload that was on a workstation to a VM and move the VM license along with it at no additional cost instead of needing to buy a new license for the new environment. Veeam is also adding support for having both Perpetual and Instance Subscription licensing in the same centrally managed environment. 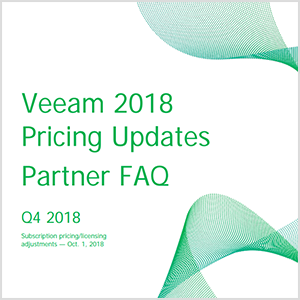 Veeam is also claiming to have bundled 24.7.365 Production Support for the entire term of your license at no extra cost into the new instance licensing scheme. Veeam also notes that they will not be charging additional fees for cloud workloads. rights to manage their customers’ support cases. 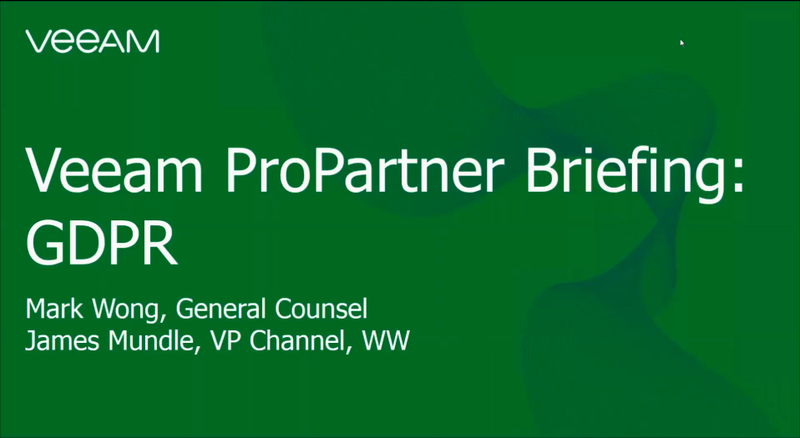 Did you miss last week’s Q1 ProPartner briefing? to increase your revenue, industry news and more! The Lowdown: The program change comes just two weeks after Veeam announced significant changes to its flagship Availability Suite offerings that added cloud data management capabilities like data retention, cloud migration and data mobility, cloud-native backup, portable cloud licensing, increased security and data governance for GDPR compliance. 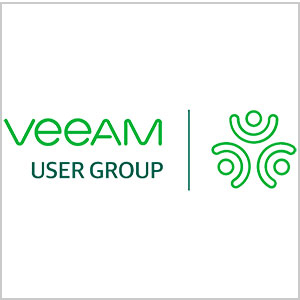 • Veeam IQ — a new partner-facing training platform to replace Veeam University. 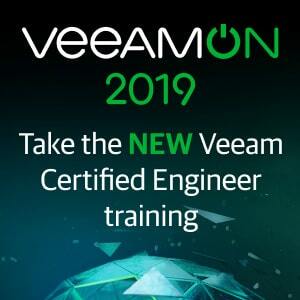 The system now includes mutli-language support and a set of interactive demos, product and solution training, program and selling education, training courses, and preparation tools for Veeam certifications. • Marketing Concierge — a new service that delivers marketing consultation for partners looking to build multi-touch campaigns that focus on digital marketing. Eligible partners can get help designing campaign materials, customizing content, building social media initiatives, recommending best practices, building campaign components, and managing leads from Veeam’s email campaign and lead tracking tool. • Accelerated growth rebates — Gold and Platinum partners who exceed assigned revenue targets will get accelerated value-incentive rebates and be eligible for additional back-end rebates as well. • Cross-functional incentives — provides additional perks across all tiers to partner sales, marketing and technical reps who have a hand in closing deals. What’s new on the Alliance front? the business outcomes customers require. in accelerating their Digital Transformation initiatives. The ProPartner Program has been enhanced in 2019 to better reward value selling and maximize partners’ profitability. These changes are meant to support strong collaboration with our channel and staying aligned with changes in the industry. Deal Registration Program: Enhanced to encourage value selling! Value Incentive Rebates (VIR): Now with accelerators! Registered to Silver Revenue requirements: Better aligned! BAAR, Switzerland–(BUSINESS WIRE)–Veeam® Software, the leader in Backup solutions that enable Intelligent Data Management™, today announced major enhancements to its North American ProPartner program. 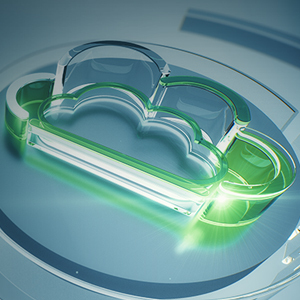 As a 100 percent channel company and following the recent announcement of general availability for new cloud data management capabilities as part of Veeam Availability Suite 9.5 Update 4, Veeam is making major investments in its partner ecosystem to reinforce its strong commitment to the success and profitability of its partners. Veeam IQ: Veeam has launched a new comprehensive partner-facing training platform to streamline partner enablement. Formally known as Veeam University, this new Learning Management System (LMS) is an online resource that supports partner education, fostering increased efficiency and greater profitability. Now with multi-language support and increased learner engagement, partners can easily access demos, product and solution training, program and selling education, training courses, and preparation tools for Veeam certifications including Veeam Technical Sales Professional (VMTSP) and Veeam Sales Professional (VMSP). This modern and intuitive learning platform enables partners to move at their own pace, putting the partner in control of their progress and certification compliance. 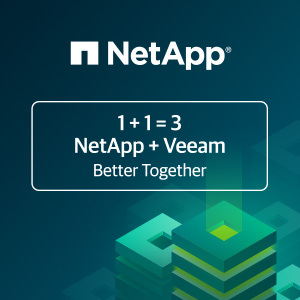 Additional and Significant Marketing Investments: Veeam is committing to increased marketing investments in both partner-facing marketing and support for Focus regional partners, National partners and Corporate Resellers. Veeam has launched a new Marketing Concierge service – a dedicated marketing consultant group available to collaborate with partners to build multi-touch campaigns that focus on digital marketing tactics. Working closely with eligible Veeam partners, a Virtual Marketing Manager (vMM) will guide the partner though the entire campaign process, designating effective campaign materials, customizing content, building social media initiatives, recommending best practices, building campaign components, and managing leads from the Veeam MarketReach platform (Veeam’s email campaign and lead tracking tool for partners) post-campaign. With this Platform, partners can create, execute and track their own Veeam campaigns, including banner creation, co-branding marketing materials, event-in-a-box projects, etc. New Partner Perks and Incentives: Veeam Partner Perks rewards sales, marketing and technical roles at partner organizations. Veeam understands that a “closed deal” is the result of more than just a sales function. This program leverages the behaviors and actions of the partner with valuable rewards, whether it’s selling into the SMB space, co-selling with an alliance, taking a certification, completing a POC, or running a competitive campaign; Veeam recognizes every contributing role of the process. Veeam is the global leader in Intelligent Data Management. 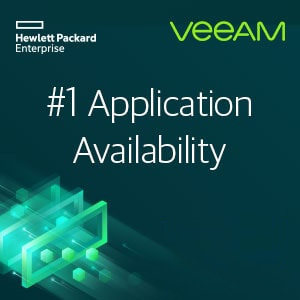 Veeam Availability Platform is the most complete solution to help customers on the journey to automating data management and ensuring the Availability of data. With more than 330,000 customers worldwide, including 82 percent of the Fortune 500 and 66 percent of the Global 2000, Veeam’s customer satisfaction scores, at 3.5X the industry average, are the highest in the industry. 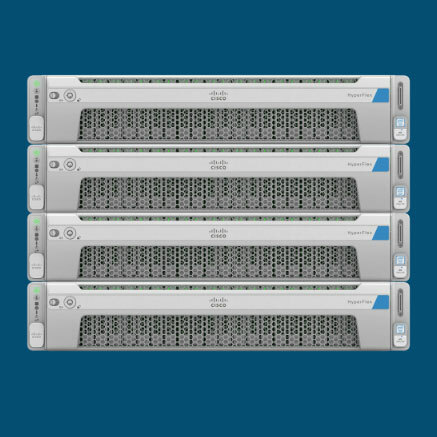 As a 100 percent channel company, the Veeam global ecosystem includes ProPartners, Veeam Cloud & Service Providers (VCSPs) and Cisco, HPE, Lenovo and NetApp as exclusive resellers. Headquartered in Baar, Switzerland, Veeam has offices in more than 30 countries. To learn more, visit https://www.veeam.com or follow Veeam on Twitter @veeam. As the data management needs of organizations increase, so does the time spent on researching solutions. The hunt for the right solution can be intimidating and complex. Today, we announce the launch of our HPE and Veeam® digital resource center, the one-stop shop for all your Intelligent Data Management solution needs. all partners about the launch of VIL this Wednesday, February 6th. new pricing model and help enable. & Affordable to buy only what you need. bundles (10 Instances) per order. types – thus removing much of the license management complexity for end users. if anything is still not clear, just ask! to close more deals with Veeam! practices, webinars and much more. incremental value to the deal. as native Azure Blob storage for Veeam-powered archives. TICKET and FIVE NIGHTS HOTEL ACCOMMODATIONS. as a Service (BaaS) powered by Veeam? 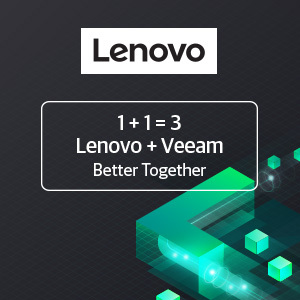 from customers and prospects on Veeam.com. YThe General Data Protection Regulation (GDPR) took effect on May 25. 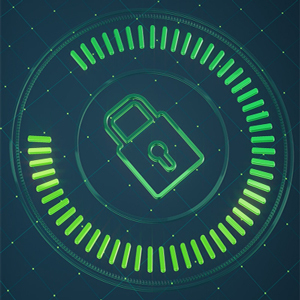 Veeam is held to GDPR compliance standards like other companies all over the world. 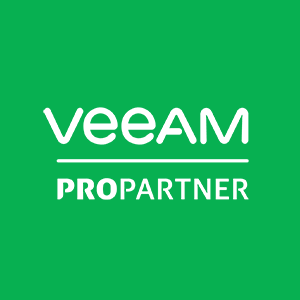 Every Veeam ProPartner who has a Deal Registration or submits a purchase order, or alternatively would like to receive marketing leads or marketing development funds for potential customers from Veaam, needs to sign a Data Processor Addendum (DPA) — and that process just got easier! Log in to the ProPartner Portal to review and sign the DPA. Veeam is breaking new boundaries with technology to help you build lucrative Veeam-powered services. Access the VCSP Discount Calculator to see your potential savings. 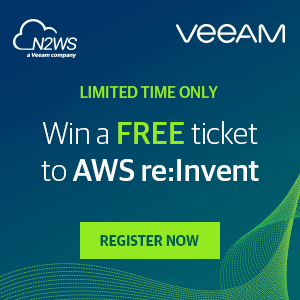 Veeam and N2WS are giving away the ultimate AWS re:Invent experience to THREE lucky winners! All you have to do is register now and enter our raffle to win a FULL CONFERENCE TICKET and FIVE NIGHTS HOTEL ACCOMMODATIONS. 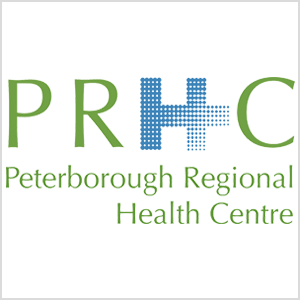 Registration Program — regardless of deal size! NEW Veeam Backup for Microsoft Office 365 v2 learning module now available! 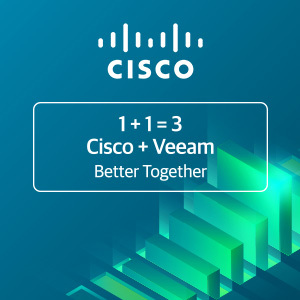 Veeam® enables Availability for the Always-On Enterprise™ and complements Cisco by providing the data management solutions required for 24/7 application availability. In this informational webinar learn how Cisco and Veeam are addressing the disruption of the digital economy, the opportunity associated, and the support resources available to partners to accelerate pipeline growth and closed deals. VMCE Training available at your office! If your team would like to have a dedicated VMCE class in your office, let me know and Veeam will take care of everything. This is at no cost to you or your partner organization. Normally, this class is $3500 per attendee. Exam vouchers for a Pearson Vue testing center can be obtained at no cost, as well. 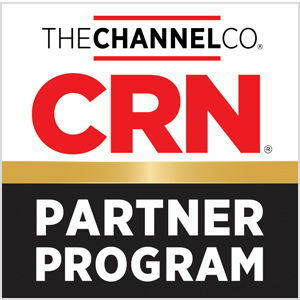 Veeam recognizes that you’re a valued partner and we will continue to invest in our you! Shoot me a message to find out more or to line up an onsite class. Did you miss our last quarterly partner briefing? 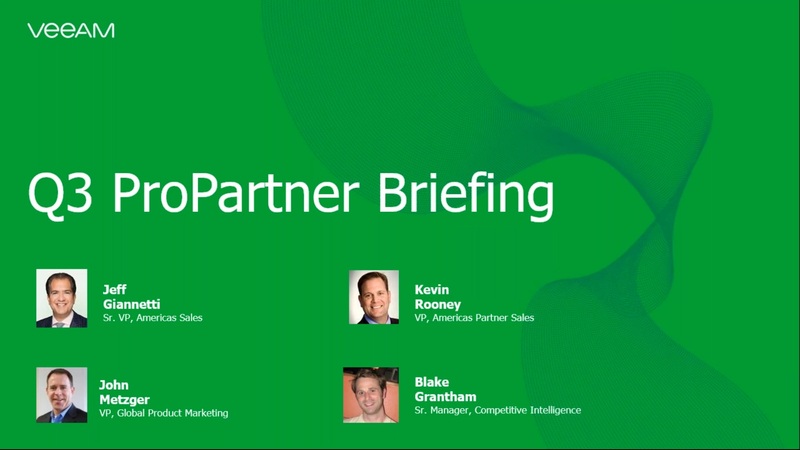 Listen today to our most popular call, the ProPartner Briefing. Regardless of your knowledge and experience with Veeam®, we bring valuable content to all our partners. 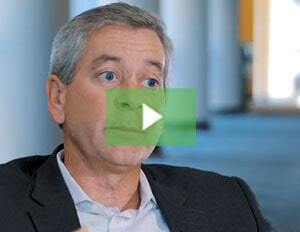 Hear from our executive leadership on recent product announcements, promotions and much more! Visit new section to learn more and get frequently asked questions answered. 3-months free N2WS Cloud Protection Manager + $250 AWS promo credit.